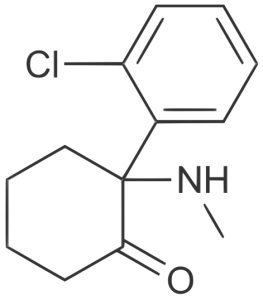 Ketamine is counted as one of the most versatile drugs. The original purpose behind its synthesis was as a phencyclidine (an anesthetic) substitute. But that was 50 years ago. Today, it has gained popularity in multiple clinical settings, including psychiatry and anesthesia. Doctors are also using Ketamine Infusion Therapy in Chronic Pain Management, as well as, for providing acute pain relief. Its potency and rapid mode of action have also made ketamine a boon for patients with therapy-resistant depression. Who can take low-dose ketamine and benefit from it? Who shouldn’t take low-dose ketamine it? What does ketamine treatment have to do with opioid dependency? According to the guidelines for ketamine use in relief from acute pain, it can be quite effective in reducing the dependency of individuals on opioids! Imagine someone who is about to go through a rather serious and painful surgery. Or, someone who has become opioid-dependent and is unable to perform everyday functions in life without it. Then there are also opioid-tolerant patients who are about to undergo surgery. You will see many reports about Ketamine Helped My Pain. From sickle cell pain to sleep apnea, ketamine has the potential to limit or remove the need of opioid use. Are there any other benefits of ketamine infusion treatment? Firstly, we apply the subcutaneous infusions in a slow and steady manner. A low dose of ketamine is given to a patient and increased gradually, depending on their body’s response to it. This makes it easier to predict the side effects ketamine may cause in some and reduce their intensity. Secondly, unlike similar treatments, the ketamine infusions aren’t intravenous. This reduces the risk of contracting any hospital-acquired infections. Read up on some conditions that could greatly benefit from ketamine infusions. If any of your family member or you suffer from any of those disorders, it is time to contact us and discuss Infusion Therapy Cost and treatment.